It’s political yard sign season and Democrats are falling behind Republicans in the number, size and visibility of their candidates’ signage. Some Democrats are getting very frustrated, especially Democratic County Chairs who missed opportunities for placement of candidate signs at parades and county fairs in June and July. 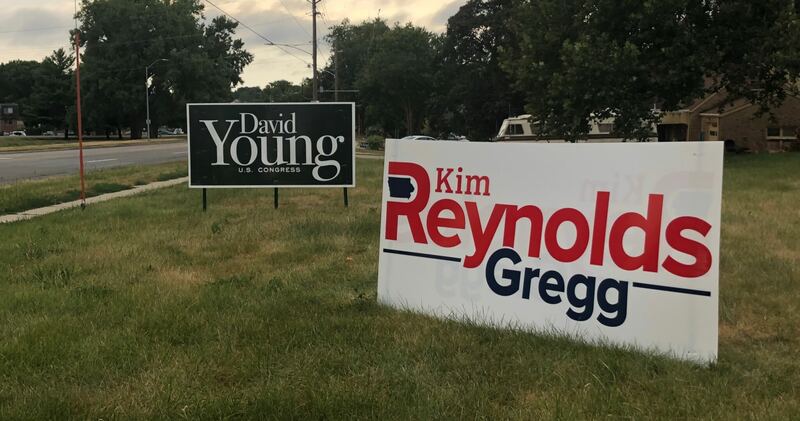 Reynolds’ signs are popping up like mushrooms all over the state, and the lack of a significant number of Hubbell signs have some Democrats worried. It’s early, so Republicans may just have a head start. Democrats still have time to respond in mass. Volunteers, supporters and some Democratic party officials love yard signs, but the majority of Democratic strategists don’t see yard signs as critical to electing candidates. Many campaigns prefer to spend limited resources on other indirect political activities such as TV or radio advertising, direct mail and parades. They contend that yard signs take valuable resources to fund and distribute them. Most campaigns are laser focused on direct voter contact through phone banking and canvassing and see yard signs as a costly distraction. But recent evidence indicates yard signs can be helpful for candidates with little name recognition. Wichita State political scientist Melvin Kahn suggests yard signs can build name recognition. “They don’t actually produce voting a certain way. What they do is enable the first element to be reached, of getting candidates known. And they particularly work if they’re strategically placed, so that there are many that are together, so you get a bam, bam approach,” said Kahn. In 2015, Donald Green, a Columbia University professor, conducted four field tests on the effectiveness of yard signs. His conclusions suggested yard signs could increase candidate vote margins by 1.7%. That suggests yard signs don’t contribute significantly to big wins, but they offer nearly the same boost as direct mail. Another yard sign researcher is Costas Panagopoulos, a professor of political science at Fordham University. 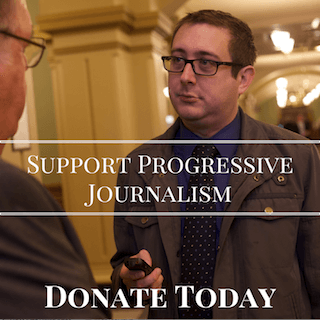 Democratic social media posts and intra-party conversations indicate many Iowa Democrats are growing frustrated with the lack of Democratic candidates’ signs in Iowa. 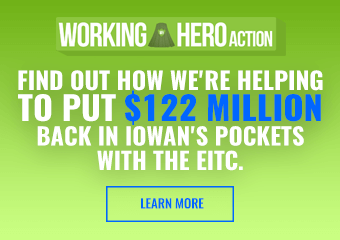 A recent Facebook post about her husband’s ride across Iowa on RAGBRAI points to this concern. Sean Bagniewski, Democratic Polk County Chair, felt that the value of yard signs was certainly worth discussing. He recently sponsored a discussion on the value of yard signs in one of the local Iowa House races in Polk County. Urbandale Representative John Forbes’ aggressive yard sign approach was discussed. Forbes’ team puts up several hundred lawn signs in one afternoon prior to the November election. The sudden shock and awe appearance of so many Forbes’ signs across Urbandale seems to work for his campaign. A couple other factors candidates should consider is the yard sign effect on supporters rather than voters. Obviously, a campaign’s goal is to use yard signs to persuade voters to choose them over their opponent. However, supporters need to be inspired and motivated to volunteer. If they want a yard sign to proudly stick in front of their home, denying them that opportunity may diminish their enthusiasm. Likewise, if supporters only see opponents’ yard signs it can depress their enthusiasm. In an October 2014 trip from Des Moines to Dubuque, it was utterly depressing seeing the abundance of Branstad and Ernst signs, yet not a single Hatch or Braley sign was visible until reaching Dubuque. Here’s a good news ending to the yard sign shortage. The Hubbell campaign immediately answered my inquiry about their future sign availability for this story. Here in my area, we had many, many yard signs (I live in Dubuque) for Dem candidates – for the primaries. They seem to have vanished (or many have) – even the ones for the winning candidates. Now, I haven’t gone looking, but I’ve seen two Hubbell signs, one Lindsay James sign, and NO Abby Finkenauer signs (hell – her candidacy should be able to afford them!). I’ve seen no Chuck Isenhart signs, either, but I don’t really think he needs to put any out. He’s got a bunch of really dedicated supporters on the ground. I suspect, that, as Rick’s article implies, they are a mixed bag. But, I’d sure like to see more of them! Yard signs may not matter much, but LACK of yard signs definitely does matter. In 2016 caucus and general election, I was an avid Clinton volunteer and the lack of understanding of yard sign diplomacy really was disheartening . Campaigns are always asking for things: money , time, attention, commitments. Signs are one of the few things they give back. The giving of a sign is the giving of a gift, and gifts require at least gratitude from the recipient, if not reciprocity. People stopped by the office to pick them up we had none to give them. We knocked doors and people asked for them, we had nothing to give them. A very dedicated couple from the chicago suburbs came down every single weekend in the last 2 months to knock doors and make calls, they couldn’t even get one! I gave them my caucus sign because I felt so embarrassed there wasn’t one available for them. Each time we had to say no, that was a person we could have extended the conversation with, engaged with, convinced to volunteer or donate, and they all went away disappointed instead. Plus you have a volunteer that has to tell multiple people no to signs every single day, which dampens the enthusiasm of the volunteers you already have. Especially in the caucus days, it was infuriating that they didn’t even get signs in to the office until the last week, and they put no effort into distributing them because by then the ground was frozen solid. I think it really hurt Clinton in the caucus because there were lots of Bernie signs in Eastern Iowa leading up to the caucus and almost no Clinton ones. It makes people think it’s not a close race so why even bother showing up to caucus, which is hugely inconvenient anyway. I hope Hubbell and other current candidates don’t repeat the same mistake . I’m a resident of a rural red township, and looking back, the signs I saw (and didn’t see) in 2016 were both depressing and an ominous warning. And another small way to tell that yard signs matter is by the amount of sign-stealing and removing that goes on, which was unfortunately considerable in some parts of Iowa during the last big election. Candidates just don’t want to spend the money on yard signs; They want to make the excuse that “Yard signs don’T vote and yard signs don’t win elections”/ Well sorry to say to them that yard signs don’t vote but the people that see them do and as we have seen in 2016 with all the yard signs for DT that yard signs do play a large part in winning elections. 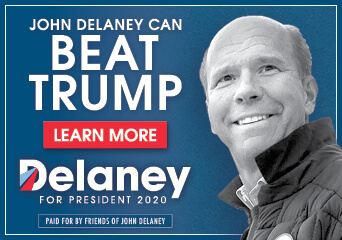 That is why candidates need a lot of cash and need to reserve a big part of their budget to yard signs and barn signs. When they do get them they need to be properly placed in good areas and placed so voters can see them when they are driving 35 mph or more down the street or road. First off DEMS USE A UNION PRINTER with a union bug on the sign. The signs need have lots of white space with the name of the candidate large and bright enough for voters to read. All that needs to be on them is the candidate’s name and office which they are running. No other gobbly gook and not even the party name. Party affiliation isn’t as important as it used to be. Voters will see the when they receive the ballot when they vote. In the first place, no party voters are usually the voters that determine an election and it is the no party voters candidates want. Every election is different and so was the Obama election so the facst that their campaign didn’t push them does not relate to an;y future election. Candidates should play it safe and plan and distribute lots of signs . Phone calling and door knocking isn’t as effective as it used to be because it is because so many people have cell phones.are turned off when they received a call at a time inconvenient to them. Door knocking is great but it should be done by the candidate themselves and not by volunteers. If volunteers are used the candidate nerds to be nearby and available for questions. Do not door knock on issues bu door knock for the candidate. Leave a flyer, don’t spend a lot of time at the door and when you leave they door ask for their vote. . I don’t know why it is so difficult for candidates to want to “sluff off” yard signs” and not use or purchase them. It is just as “plain as the nose on their face”. It is simple. It is VISIBILITY, VISIBILITY, VISIBILITY”. Just like selling real estate it is location, location, location.